Walking around one of the tallest trees in the world makes me feel like I’m stuck in the movie “Honey I Shrunk the Kids!” The trees in the Redwood National and State Parks are amazingly tall at roughly 200 to 300 feet so it’s hard to not feel tiny next to them with my 5’9″ stature. Rain and fertile soil is abundant up in Northern California which is part of what makes these trees the tallest in the world. While I’m soaked to the bone by all the rain, the Redwoods are drinking it in as if it’s a protein shake for an athlete. They are also among the oldest living creatures on our planet. 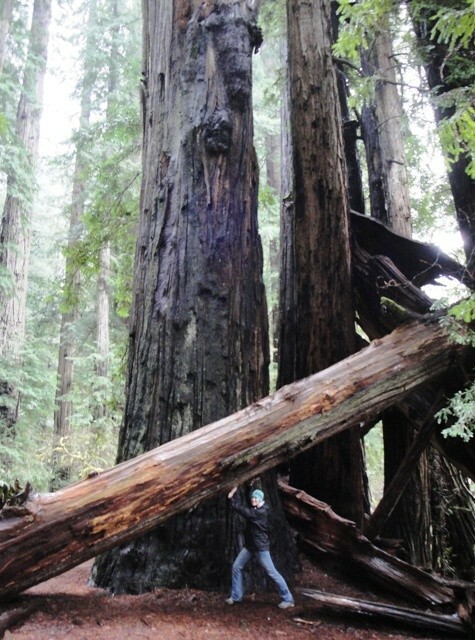 The elders of the Redwoods are close to 2,000 years old. Imagine the candles on that cake! 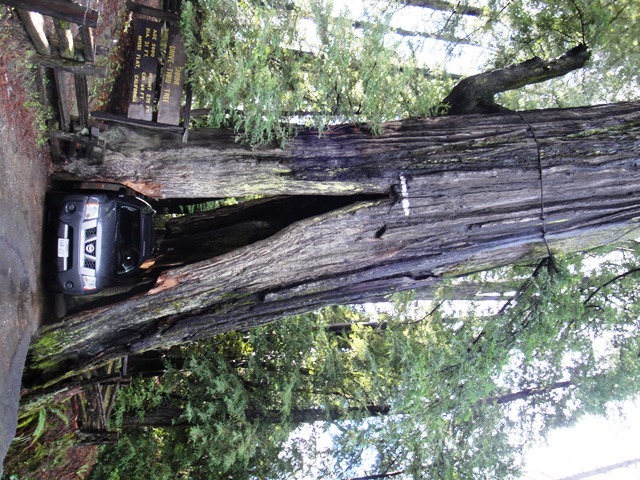 Many people ask if there really are trees you can drive through and the answer is yes. There are a few on private properties and the owners charge a fee for you to drive through. If you are planning a trip to the park, I would suggest allowing a few days to fully enjoy its beauty. Be prepared for many jaw-dropping moments. 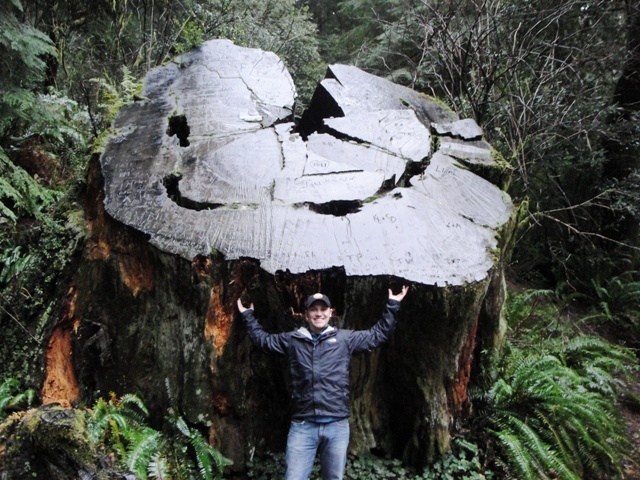 Posted by jingerventures on August 12, 2012 in All adVentures, California and tagged Big Trees, Northern California, redwood national and state parks, Redwood National Park, Redwoods, Road Trip, tallest trees in the world, Travel.